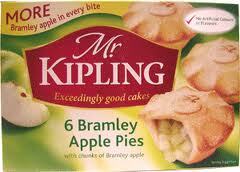 Mr Kipling is a brand of cakes, pies and baked goods widely marketed in the United Kingdom and Ireland. The trademark is owned by Premier Foods, after its acquisition of Rank Hovis McDougall (RHM) in 2007. In 1967, at a time when cakes were more often bought from local bakers, the company introduced cakes of a local baker’s standard to supermarkets. With advertising using the phrase “exceedingly good cakes”, and television commercials which originally featured the voice of actor James Hayter, the brand had become the market leader in the UK by 1976, a position it still holds over thirty years later. Varieties of single-serving and individually wrapped cakes have also been marketed. 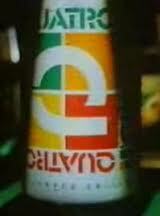 Quatro was a canned fizzy drink produced from 1982-1985 in the United Kingdom. From 1983 to 1985 it was commonly available in the UK, though production and sale of the drink ceased there in the late 1980s. Sindy is a British fashion doll created by Pedigree Dolls & Toys in 1963. A rival to Barbie, Sindy’s wholesome look and range of fashions and accessories made it the best selling toy in the United Kingdom in 1968 and 1970. After Marx Toys’ unsuccessful attempt to introduce Sindy in the United States in the late 1970s, Hasbro bought the rights to Sindy and remodelled the doll to look more American. As a result, the doll’s popularity declined and Barbie manufacturer Mattel filed a lawsuit for copyright infringement, which was settled when Hasbro agreed to remodel Sindy’s face. During the 1990s, Barbie’s share of the doll market continued to grow while Sindy’s diminished, which led to Sindy being delisted from major retailers in 1997. Hasbro returned the doll’s licence to Pedigree, and the doll was relaunched in 1999, manufactured by Vivid Imaginations. Sindy’s 40th anniversary in 2003 saw a new manufacturer, New Moons, and another relaunch and redesign. Barbie and Moxie Girlz dolls now dominate Sindy’s original target audience of pre-adolescents, so Sindy is aimed at preschool-aged girls. 1976 commercial for McVitie’s Digestives. A digestive biscuit, sometimes referred to as a sweetmeal biscuit, is a semi-sweet biscuit popular in the United Kingdom and in other Commonwealth countries, as well as in Ireland and in Greece. The term ‘digestive’ is derived from the belief that they had antacid properties due to the use of sodium bicarbonate when they were first developed. In the UK and Ireland, it was originally sold under the name Marathon. Mars standardized many of its global brand names and the name was changed to Snickers in 1990. For 18 months before the name changed, the words “Internationally known as Snickers” were printed on the side of the Marathon wrapper. Following the name change, the bar moved from being Britain’s ninth most popular bar to the third most popular.